California Horse Racing Board (CHRB) Safety Steward Luis Jauregui was a jockey in Southern California for 19 years. After retiring in 2006 with 745 career wins – including a $160 winner in his final mount – and $9,748,607 in earnings, Jauregui accepted an offer to join the stewards’ ranks, advancing from “associate” to “assistant” to the more recently created designation of Safety Steward. Working on track beyond the stewards’ office and judges’ stand, the Safety Steward focuses on rules and procedures designed to ensure the health and safety of racehorses. Jauregui is the assigned Safety Steward for the current Santa Anita Winter Meet, collaborating with the track on a number of safety initiatives and responding to concerns from horsemen. On the occasion of Santa Anita’s reaccreditation by the NTRA Safety & Integrity Alliance, Jauregui was interviewed by Jim Mulvihill of the NTRA. Jim Mulvihill: How did the Safety Steward role originate in California? Luis Jauregui: The Safety Steward role was originated by our late executive director Kirk Breed. There’s a rule in California stating that there should be one steward to enforce compliance. In the past it had always been one of the three in the stand, but it’s a very difficult job because you’re always in the stand. In California we’ve always had someone called Associate Steward who does the barn work and Breed changed the title on that role to Safety Steward with a new emphasis on safety, as well as doing the other tasks. JM: So what tasks comprise this role? LJ: The Associate Steward used to just do testing and licensing, and a little bit of monitoring in the barn area. They were focused on everyday regulations. The Safety Steward today deals with any complaints related to safety issues. I monitor training so I get there about 6:30 or 7 a.m. It’s hard for racetracks to have someone there to approve licenses and monitor training on a daily basis, making sure the exercise riders and pony people are in compliance, wearing the right equipment, abiding by the rules. And we’re also looking out for the safety of the horses. JM: What do you think has been the impact of having a Safety Steward? LJ: The Safety Steward position has been huge in California. We do testing and inspections on the track surface, we gather data, we handle licensing, we overlook little things in training, we monitor whips and safety equipment. Licensing is important because there are no farms anymore so the help coming to the track is a lot greener than in the past; there are fewer farms for people to learn. Another job I do is I spend time with the apprentice jockeys once a week and review film with them. We go over not only races, we go over safety situations, how to deal with finances. When you educate and improve young riders you improve the races. We have Hall of Fame jockeys come in – Laffit Pincay Jr., Chris McCarron, Mike Smith – to discuss everything from managing weight to dealing with off-track issues. A lot of the safety steward role has to do with the person’s background. A lot of ex-jockeys or ex-trainers are in, or have been in, this position. I used to ride, for 19 years, so I understand the policies of the track. I can see when people aren’t in compliance and I know how to handle it. I also only approve licenses for riders that I believe have the ability to do the job. We do work in concert with the outriders, but we’re the ones that sign the licenses. And we’re a go-to person for the horsemen to complain about a safety issue they want resolved. Most horsemen don’t want to walk into the stewards’ office to complain so being there at the gap during training hours they have someone to go to with their issues. And hopefully, if it’s something that’s reasonable and needed, we’ll fix it. JM: How did you transition into this role and what attracted you to it initially? LJ: In 2005 I went over the rail in a spill at Santa Anita and I broke my lower back. A first-time starter jumped over the temporary rail and I landed on the tripod. While I was out I started to think about what I could do in the future. I started studying for the stewards’ test just so I’d have something to fall back on. I passed but I went back to riding. But then I got a call on a Friday asking if I wanted a job at Santa Anita when the meet started, which was only three or four days later. I had a mount on closing day at Hollywood and I called my wife and son and told them that would be my last race. I won it and it paid $160 and I went out a winner. From there I started working in the racing office and then took on the barn area position and was working as a patrol judge. The hardest transition for jockeys when they get out is to end up in something they still find ambition in. In that position I felt like I was in something that I was called for. I like making the racetrack better. I love the industry and I want to make it better every day. It’s tough sometimes because you’re regulating people you know but you’re also helping to protect people you know. JM: Does being a former rider on the same circuit you’re now regulating improve communication with the horsemen? LJ: I’ve known these guys on the backside for years so it does help. They know they can come to me and voice their opinions. They don’t necessarily want to go into the office to complain but if they see me they’ll bring something up. That comfort level has been helpful with everybody. Of course, now everyone comes to me so we get more complaints than in the past because they feel like they have someone to turn to! But that’s OK if it makes things better. JM: How was the NTRA Safety & Integrity Alliance accreditation process and what do you see as the value in going through such a lengthy application and inspection? LJ: I like that the Alliance can take the best practices from every jurisdiction and apply them to every racetrack. They can come in and tell us what they’ve seen elsewhere and we learn from that, even here in California. One example is that we don’t have the current rules in place for pony riders. The Alliance was adamant that everyone should be wearing certain equipment and I agree with them. They put that in our minds and now we’ve passed the rule and it’s in the process of being approved in Sacramento. Hopefully that will be in place this year. JM: What kind of support does it take to make things happen in your role? [CHRB executive director] Rick Baedeker has continued to make safety such a big issue and wants to make sure we’re always protecting the horses. Without that support you can’t get anything done in this industry because each track has its budget. But when the regulators say something needs to be repaired and you have the backing from the executive director that’s huge. JM: Have the racetracks been supportive, too? JL: I’ll be honest with you, I’ve yet to hear of one time when the racetracks have fought making a change we’ve wanted. I’ve noticed that safety is a much bigger issue these days than it’s ever been. Anytime we say there’s a safety issue, they say, ‘OK, let’s fix it.’ We’re lucky, though, that down here [in Southern California] we get to deal with Santa Anita, Del Mar, and Los Alamitos, because whatever we’ve asked for they’ve approved. We wanted a PA system active during training to announce where a loose horse was on the track and that wasn’t cheap but they implemented it right away. They really care. They don’t want to be sued and they don’t want anybody hurt so they work right along with the Safety Stewards and it’s a great relationship. That’s the way it should be at all racetracks. To learn more about Santa Anita, visit the track website at SantaAnita.com. Santa Anita Park is a Stronach Group company, North America’s leading Thoroughbred racetrack owner/operator. The Stronach Group racetracks include Santa Anita Park, Gulfstream Park & Casino, Golden Gate Fields, Portland Meadows, Laurel Park and Pimlico Race Course, home of the world-famous Preakness. The company owns and operates the Palm Meadows Training Center in Florida, and is one of North America’s top race horse breeders through its award-winning Adena Springs operation. The Stronach Group is one of the world’s largest suppliers of pari-mutuel wagering systems, technologies and services. 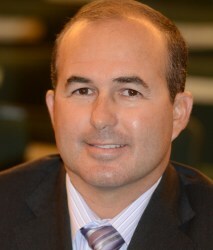 Its companies include AmTote, a global leader in wagering technology; Xpressbet, an Internet and telephone account wagering service; and Monarch Content Management, which acts as a simulcast purchase and sales agent of horseracing content for numerous North American racetracks and wagering outlets.The Stronach Group is North America’s premier supplier of virtual online horseracing games, as well as a leading producer of social media content for the horseracing industry.